Throughout this summer’s programs and leadership experiences, BBYO teens pledged to make a difference in their communities, regions and chapters. Around the world, we’re seeing amazing examples of Alephs and BBGs changing the game! Alexa Grabelle, a sophomore in South Jersey Region (Chevrah BBG #2342), is one of these gamechanging teens! 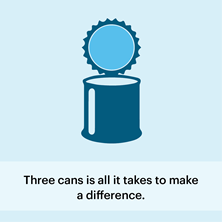 Alexa was awarded $36,000 from Diller Tikkun Olam Awards for her organization, Bags of Books. She started this program to combat illiteracy, foster a love of reading, and help level the playing field for low-income children by providing them with books of their choice. Since the program began in 2011, they’ve collected over 70,000 books which have been distributed to children in the Philadelphia and Camden areas! Are you ready to change the game?! Presidents’ Day Weekend, February 16-20, in Dallas is the place to do it! 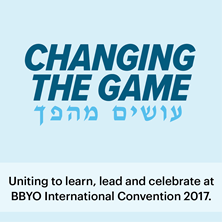 That’s where more than 4,000 of the Jewish community’s teen leaders, professionals, educators, and philanthropists from across the world will convene for BBYO International Convention (IC) 2017. Participants will hear from inspiring speakers, immerse themselves in the local community, celebrate Shabbat together, have access to exclusive music performances and do their part to ensure a stronger Jewish future. Browse highlights from IC 2016 in Baltimore for a preview of what’s in store. There will also be exciting opportunities for alumni, parents, friends and partners to experience the magic of IC, specifically on Thursday and Friday, February 16 – 17, so don’t forget to SAVE THE DATE! For BBYO’s teen global community members, summer programs are a once-in-a-lifetime opportunity and a powerful outlet to explore their Jewish identity. Yusuf, one of nine Turkish teens who attended International Kallah this summer, shared his story with hundreds of Alephs and BBGs about growing up Jewish in a small town in Turkey. He spoke with great pride about his country while, at the same time, lamented his inability to be fully open and proud of his Jewish identity. Yusuf’s presence at Kallah gave him the opportunity to share his story with others who celebrate, and sometimes struggle with, their Jewish identity and heritage. Read Yusuf’s full speech about what it’s like to be Jewish in Turkey. On September 3rd, the teens of Morton Lewis AZA #135 of North Texas Oklahoma region gathered with over 300 of their peers at a dance to raise awareness about suicide. After experiencing the tragic loss of friends, these teens were inspired to make a difference. In just one night, they raised over $6,000 for SAVE (Suicide Awareness Voices for Education), an organization working to prevent suicide through public awareness and education, and serving as a resource to those touched by suicide. Learn about BBYO’s Stand Up initiatives and how to initiate your own campaign to create positive change around you. 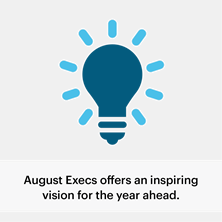 At this year’s International August Executives Conference, Aaron Cooper, AZA’s 92nd Grand Aleph Godol, and Ellie Bodker, BBG’s 72nd International N’Siah, delivered a powerful inaugural address laying out their vision for the year. With a message of hope and affirmation, they called on teens throughout the order to change the game by leading, championing and inspiring their generation in greater ways than ever before! Two important resolutions were passed August Execs. The first was a recommendation for onboarding eighth graders as members of AZA and BBG consistently across the order. The second proclaimed Tu B’Av as a moment-wide celebration of love and acceptance for all Jewish teens and an opportunity to share the values of the movement. Read the full text of Aaron and Ellie’s inaugural address and learn about the important work BBYO’s teen leadership performs. Read Nicci’s story and learn how you can make meaningful service a central part of your life. Thank you for your continued support! 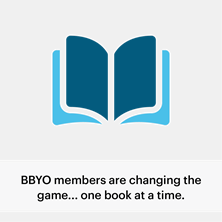 By investing in BBYO, you're investing in the lives of today's Jewish teens and in Jewish Continuity, values and traditions. 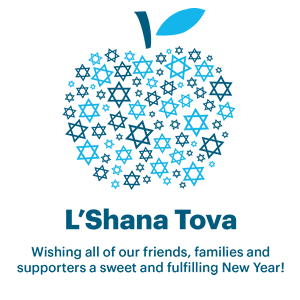 Support our Jewish future by making a donation today! If you would like to support a specific project, please contact Michael Schwartz at 202.857.6504 or via email at [email protected].